Perinatal Mood and Anxiety Disorders (PMADs) are the most common complication of childbirth, affecting 15%-20% of women. You can reduce your risk by making a plan. 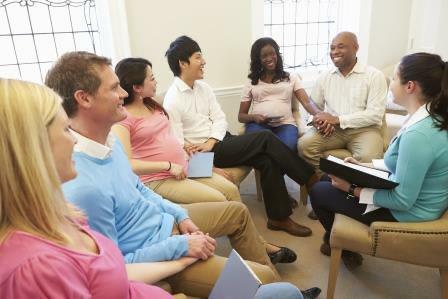 Let our staff help you and your support person learn warning signs of PMAD, identify and strengthen your resources, learn actions to increase health and reduce risk and get information on postpartum community resources. What puts someone at risk for developing a Perinatal Mood and Anxiety Disorder? Registration is required to attend any of these free sessions, so please call your clinic ahead of time.